Manufacturers face a variety of exposures to risk, many of which are unique to specific classes of business and require a tailor-made insurance program. NAICO carefully evaluates each class to determine the best plan for our clients’ facilities, equipment and employees, and are willing to consider insuring most classes of business within the manufacturing industry. Some classes, however, are ineligible for NAICO’s program, specifically those that create products used by the general public like helmets, safety equipment, etc. Other ineligible classes include heavy products exposures such as automotive and aircraft related operations, as well as explosives or munitions manufacturers. 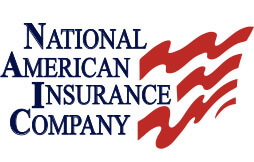 Aside from the classes specified as ineligible, NAICO offers a wide range of commercial insurance options for our manufacturing clients and are competitive in most classes.